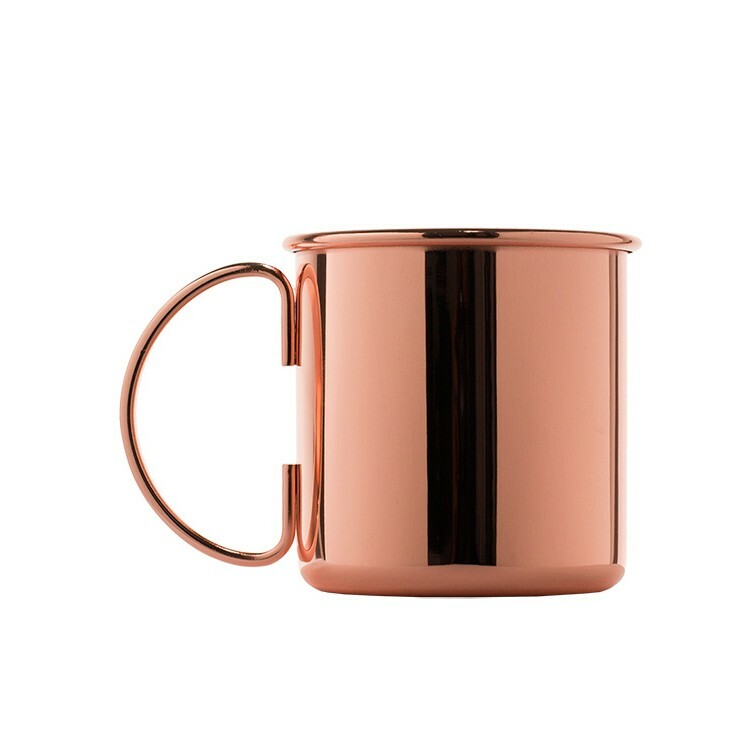 Moscow or Gin Mules have to be served in copper mugs. This looks awesome and keeps your drink cool longer. 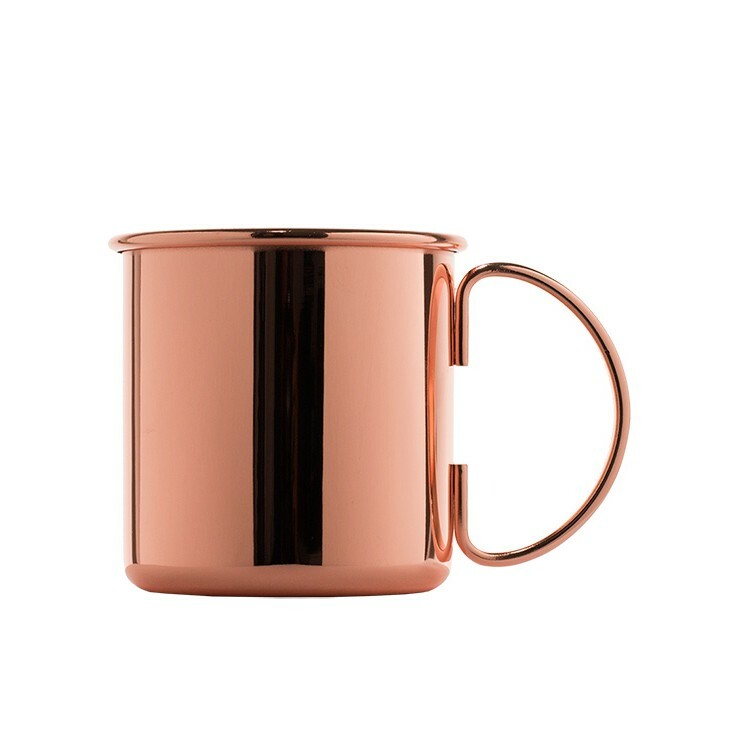 The cherry on the cake is to serve a Moscow Mule with a copper straw. 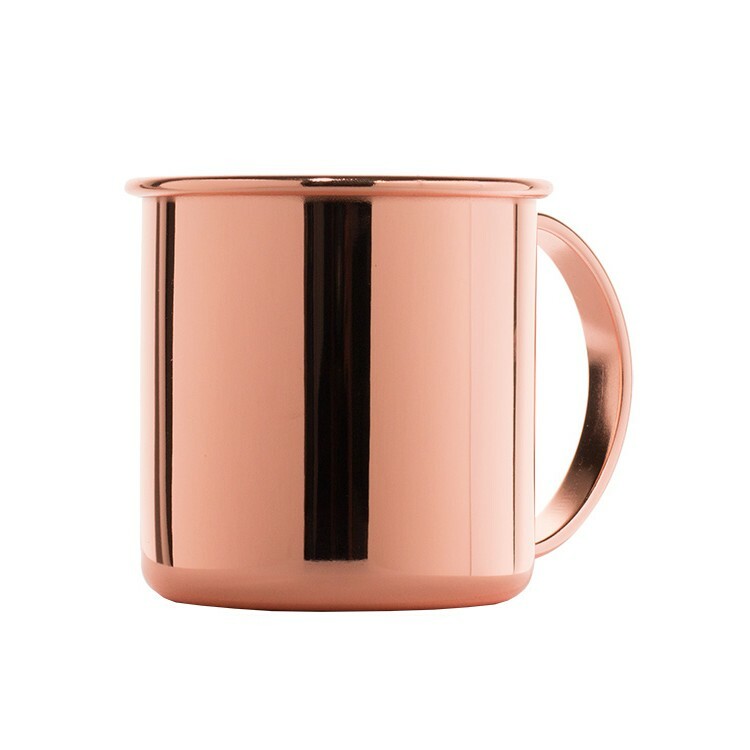 Moscow Mules or Gin Mules have to be served in copper mugs. This looks awesome and keeps your drink cool longer. 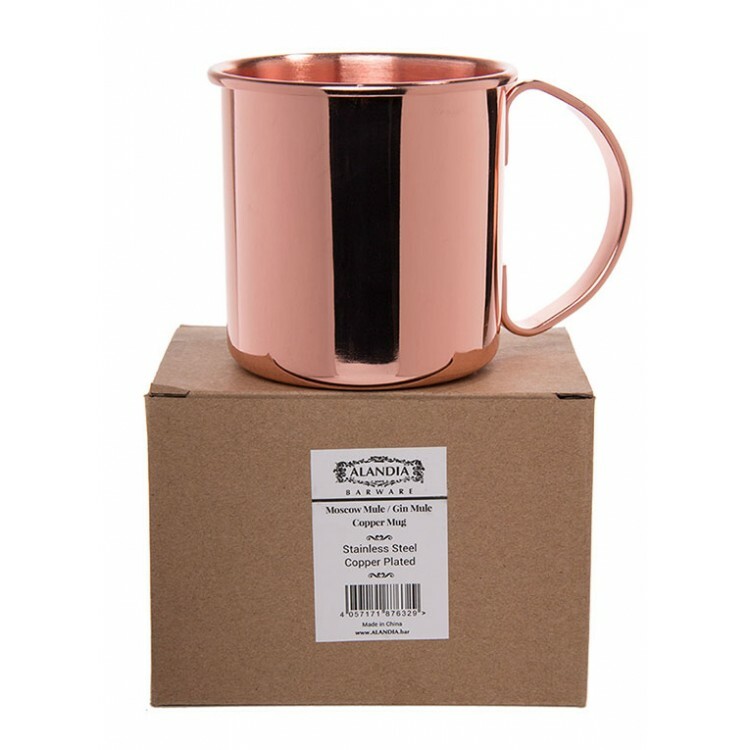 The cherry on the cake is to serve a Moscow Mule with a copper straw. 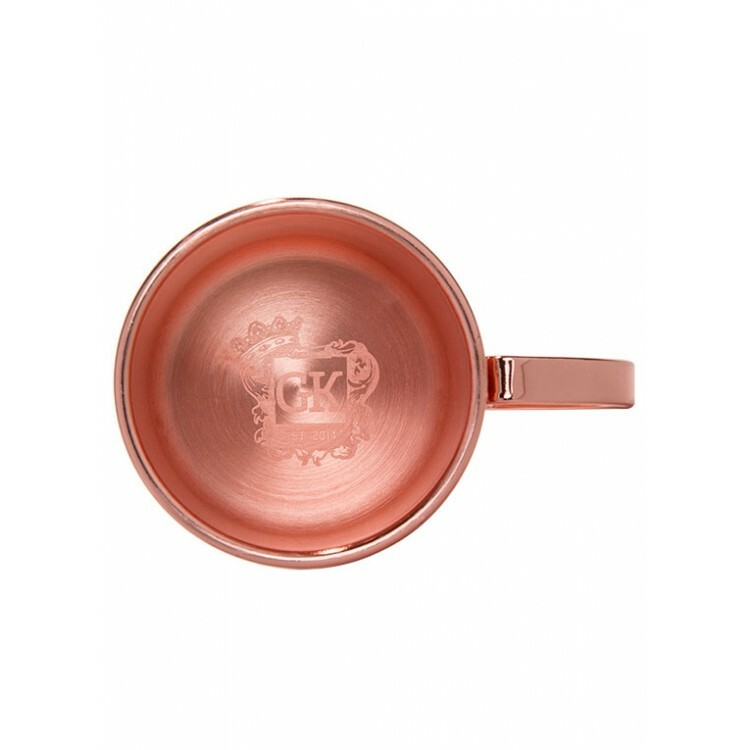 It looks great and with the copper straw you can easily stir the drink. Therefore you always drink a well blended Mule. 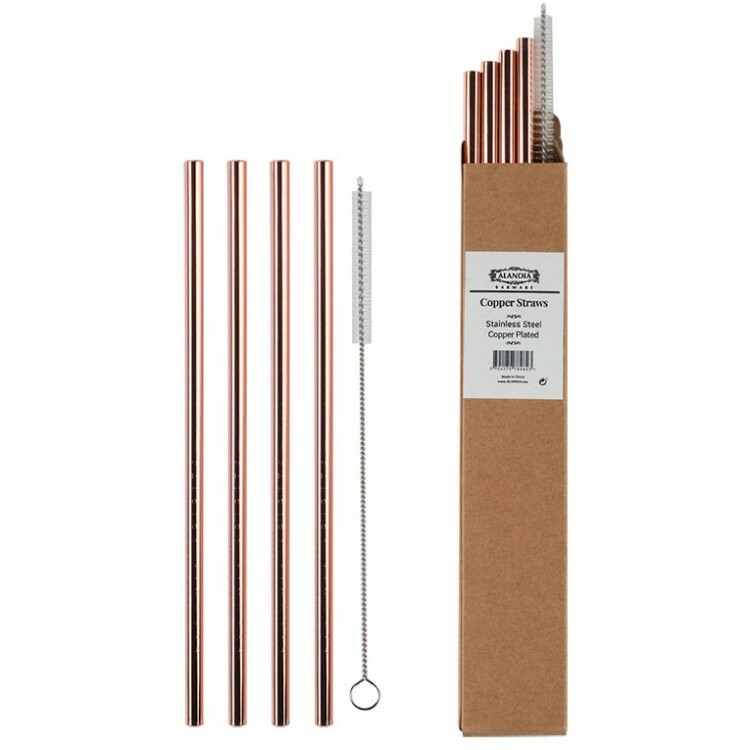 Drinking out of the copper straws is as well convenient, as they have a slightly larger diameter compared to regular straws. 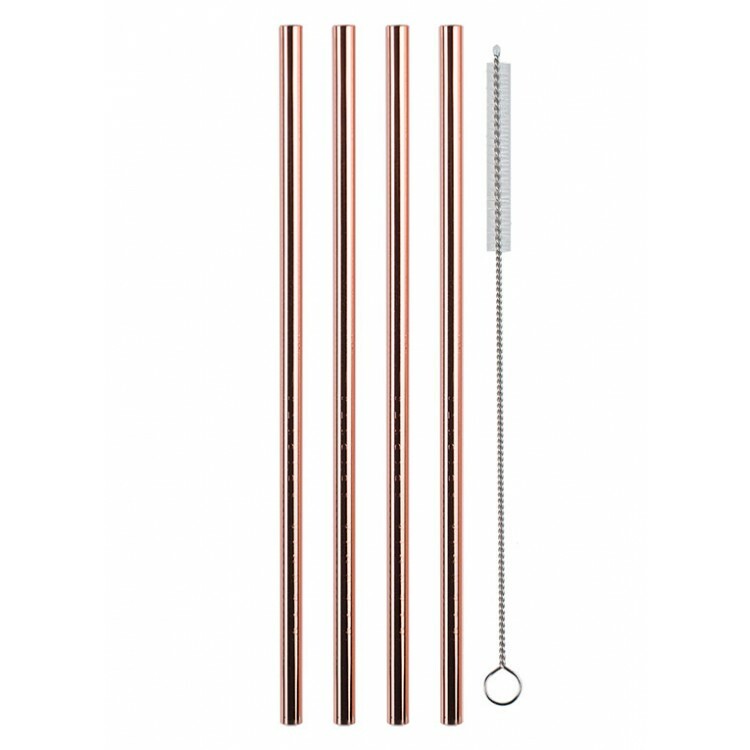 The straws come in a beautiful set of four, including a cleaning brush. Therefore you can use the straws over and over again. 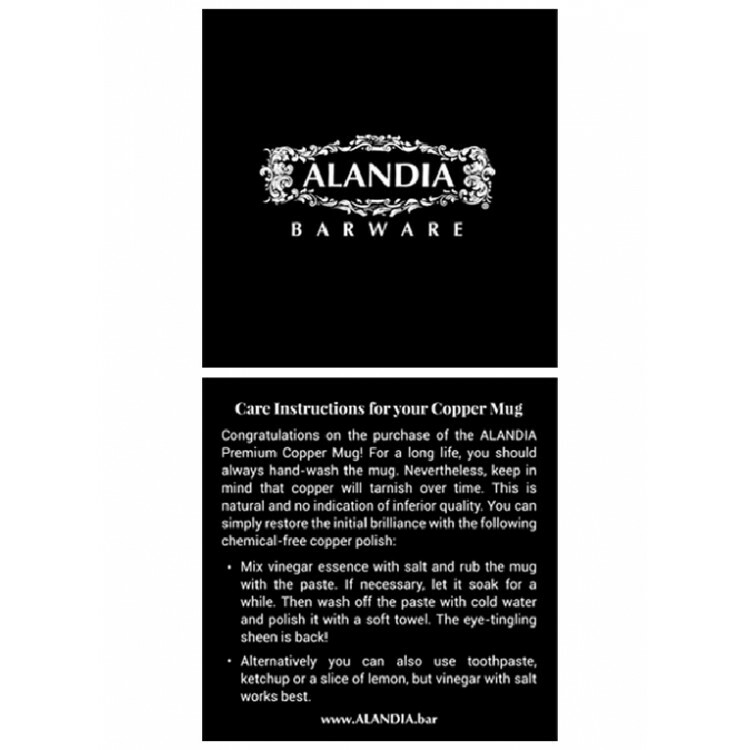 This helps the environment and gives you a good conscience while sipping your delicious drink. 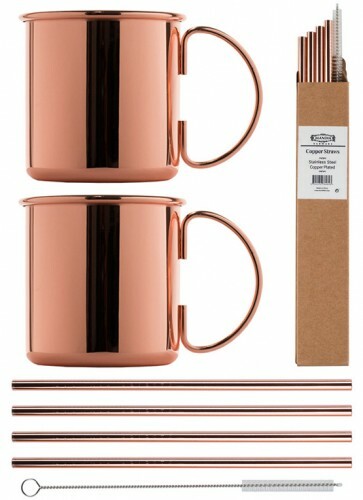 The copper mugs are like the copper straws made of copper-plated stainless steel. This has health benefits, as the ionization is minimized (some people are allergic to copper ions). 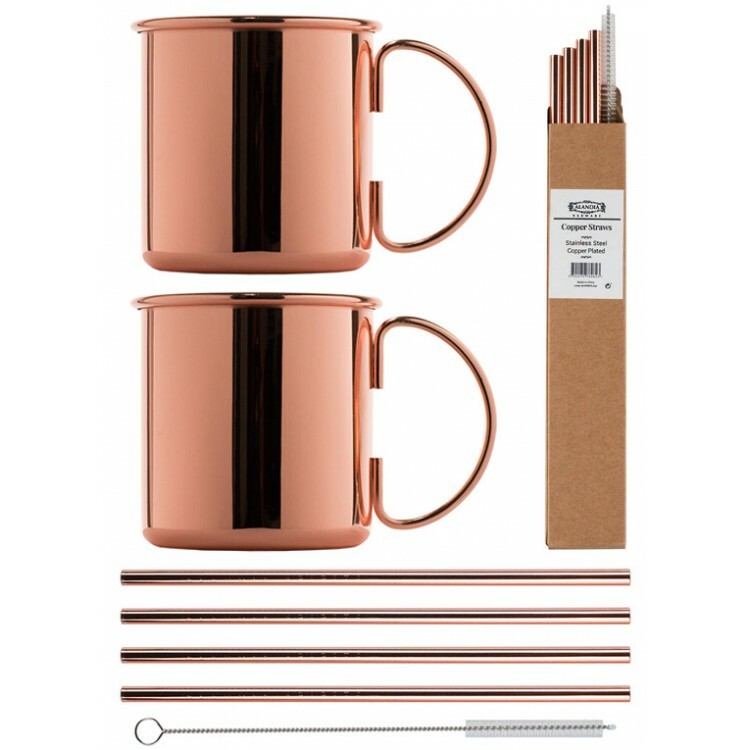 Overall we can highly recommend this Moscow Mule accessories set and wish you a good time with your premium Moscow Mules! 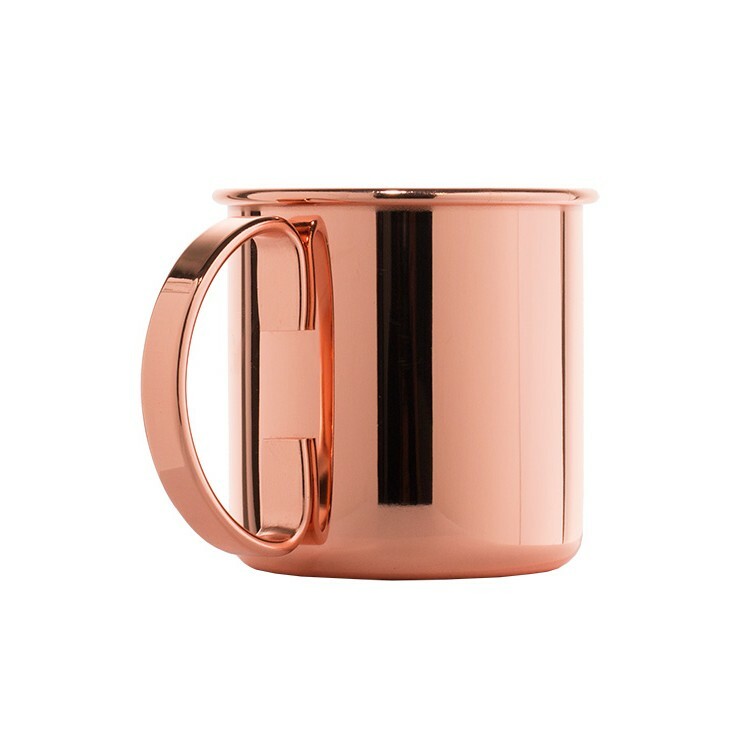 Place 1-2 XXL ice cubes in the copper mug. Add 30 ml Vodka (or Gin if you want to make a Gin Mule) and the lime juice. Stir and then fill the mug with ginger beer. Garnish the drink with 1-2 slices of cucumber and add a mint sprig for decoration. We recommend to serve the Gin Mule with Lucky HANS Bavarian Dry Gin or Six Ravens Gin.